Friends of Kids with Cancer | Knights of Columbus Ascension Council Supports Friends in a BIG Way! 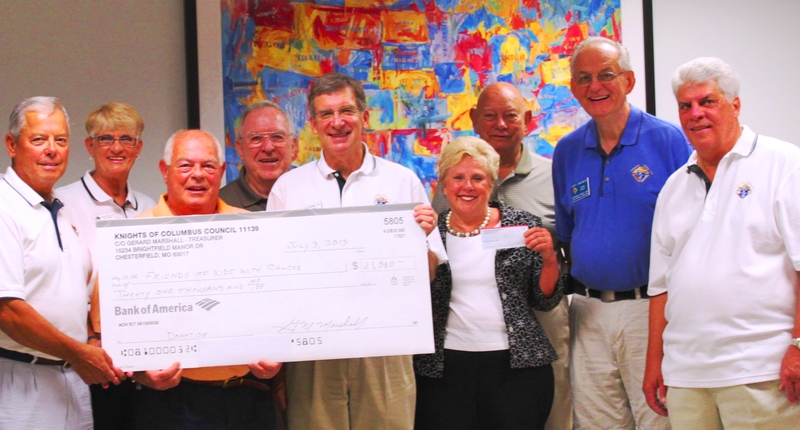 Knights of Columbus Ascension Council Supports Friends in a BIG Way! The Knights of Columbus Ascension Council 11139 chose Friends of Kids with Cancer to benefit from their 12th annual charity golf tournament! This year's event was held on May 6th and was a tremendous success. This wonderful group donated $21,000 of the money they raised to Friends! They made a very generous donation last year and have chosen us for next year as well. We are incredibly thankful for their continued support.